Orange Acres is owned and operated by the Warrington Family for 3 generations! Orange Acres is an active & affordable 55+ community in sunny Sarasota, FL. 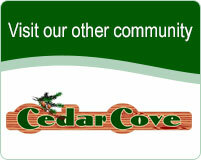 Orange Acres is a 55+ land-lease manufactured home community. Orange Acres has both pre-owned & new homes for sale. An application is required before purchasing, renting, or residing in the community. Sorry, no dogs. The Florida lifestyle shown in the pictures on our websites gives you a look at the different activities and lifestyle that Sarasota has. Florida’s pleasant weather throughout fall, winter, and into the spring makes Sarasota an excellent place to have a second home to escape the cold winters! Regardless of whether it’s incredible shorelines/ beaches, entertainment, shopping, or one of the numerous regional or state parks Sarasota offers you the incomparable Florida way of life to appreciate! Whether you’re lounging at the Orange Acres pool, walking the powdery white sands of Siesta Beach, playing 18 holes of golf on one of the many courses in our area, or simply enjoying dining and entertainment in the Sarasota area. There are plenty of options to relax and have fun! Enjoy making new friends as you participate in community activities both in and out of Orange Acres. 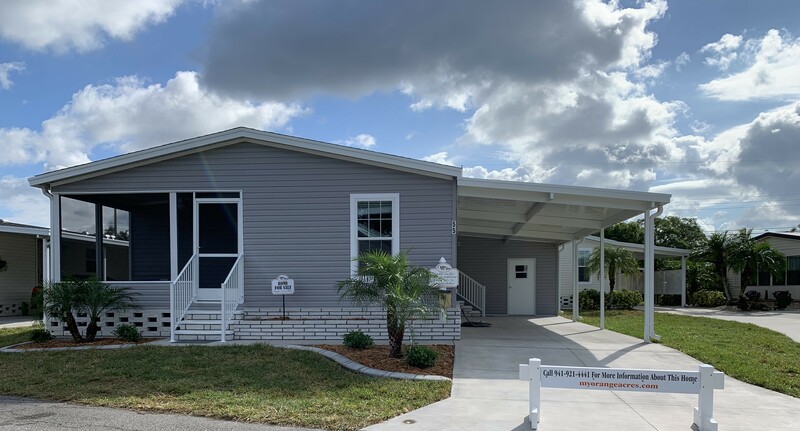 Orange Acres Manufactured Home Community offers people looking to reside in Florida an affordable housing option and a lifestyle of their choice in a city like Sarasota. Our lot rents are on the lower end of the scale for comparable manufactured home communities in the Sarasota/Manatee area. "More than a dozen years ago we were looking for a house in a warm climate to shelter us from the winter weather in the North. What we found was a home in a community; one that reminded us of those towns where we grew up. A caring, enveloping, vibrant array of people with similar backgrounds, people who cared for one another, looked out for their welfare and bonded in like enjoyments." - Ed & Judy M.
"Orange Acres is a fabulous place to live and building a custom manufactured home is the icing on the cake! We worked with Jeff and Greg and the entire Orange Acres staff to design and customize our new home. We even made a trip with Jeff to the manufactured home model center in Bartow, FL where we finalized every detail of our home. This was an excellent experience from start to finish!" - Phil & Elaine A. "There are numerous reasons why we love living in Orange Acres, such as location, layout of homesites, facilities and activities. But the most obvious reason is the people; not just the residents, but also the management personnel. They genuinely have the residents best interest at heart in making their business the success that it is. With the 3rd and now 4th generation of the Warrington family involved in every day business, it makes all of the residents feel very secure in the future of Orange Acres and the success of our park for years to come." - Bob & Cyndee S.